Through Millie's eyes, we see the harsh realities and unexpected joys in the lives of the patients she treats, as well as the camaraderie that is forged with the fellow nurses that she lives with. Filled with unforgettable characters and moving personal stories, this vividly brings to life the colourful world of a post-war East London. 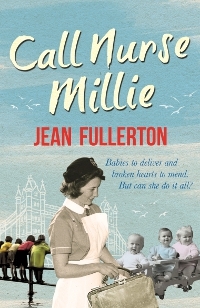 An absorbing and richly detailed novel following the life and work of a young nurse in post-war East London - perfect for anyone who loved CALL THE MIDWIFE. Millie Sullivan pushed an escaped curl of auburn hair from her eyes with the back of her hand. She wished she’d put on her cotton petticoat under her navy blue uniform instead of the rayon one. Although the milk float was only just rolling along the street, it was already sweltering hot. She handed the child to the woman propped up in the bed. Mo Driscoll, already mother to four lively boys, took the baby. Millie smiled. Chance would be a fine thing. She plopped her instruments into the small gallipot half-filled with Dettol, took off her gloves and glanced at her watch. Eight-thirty a.m.! Thank goodness. She’d be back by the time Miss Summers gave out the day’s work. Also, as Annie Fletcher, the trainee Queen’s Nurse student assigned to Millie, was laid up with tonsillitis, Millie had given a couple of Annie’s morning insulin injection visits to Gladys to do, and she wanted to make sure she’d done them. ‘Do you know what you’re going to call her?’ Millie asked Mo, washing her hands in the bowl balanced on the rickety bedside table. ‘Colleen, after me mum,’ she replied. Mother and daughter exchanged an affectionate look and Mille glanced at her watch again. She ought to get on, as she’d promised her own mum that she’d pop home in time for Churchill’s announcement at three p.m.
bag for her district one for her afternoon visits, it would be a close-run thing. Millie packed the four small enamel dressing-bowls inside each other, then stowed them in her case between her scissors and the bottle of Dettol. She snapped the clasp shut. ‘I’ll call back tomorrow, but if there’s any problem just ring Munroe House to get the on-call nurse,’ Millie said, squeezing down the side of the bed towards the door. Like so many others in East London, the Driscolls’ home was just the two downstairs rooms in an old terraced house that Hitler’s bombs had somehow missed. Colleen took the manila envelope tucked into side of the dressing table mirror and passed it to Millie. She opened it and took out two crumpled ten-shilling notes, popping them into the side pocket of her bag. Jean Fullerton is the author of four previous historical novels, which were set in Victorian East London. Her book have won a number of awards and been shortlisted in national competitions. A native East Ender, she is also a qualified District and Queen's nurse who has spent most of her working life in the East End of London, first as a Sister in charge of a team, and then as a District Nurse tutor. 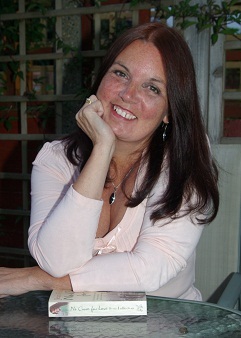 She is also a qualified teacher and now lectures on community nursing studies in a London university.